A bill sponsored by State Representative Christine Winger (R-Wood Dale) to increase the number of Veterans Courts in Illinois cleared its first hurdle. House Bill 5003 passed out of committee unanimously on Tuesday. Veterans Courts focus directly on the needs of former and current members of the armed forces. Currently, there are 12 Veteran Court programs in Illinois. 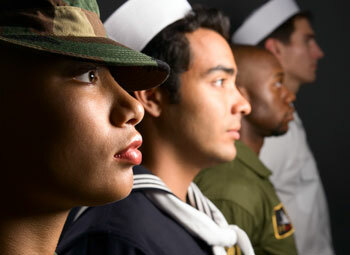 All are limited to veterans with non-violent records who are struggling with substance abuse or mental health issues. Veterans who qualify and successfully comply with court orders get the treatment they need and can have charges dismissed. As of 2014, problem-solving courts including Veteran Treatment Courts kept 1,200 offenders out of prison, saving the state of Illinois nearly $20 million. Read more.